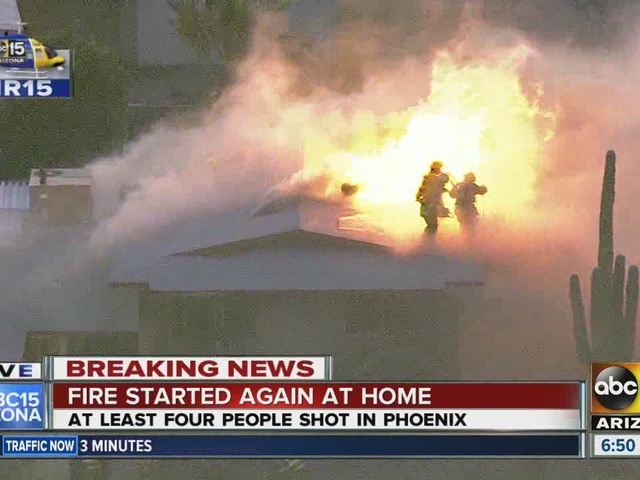 A family of five is dead after a shooting and fire at a home in Phoenix, according to officials. 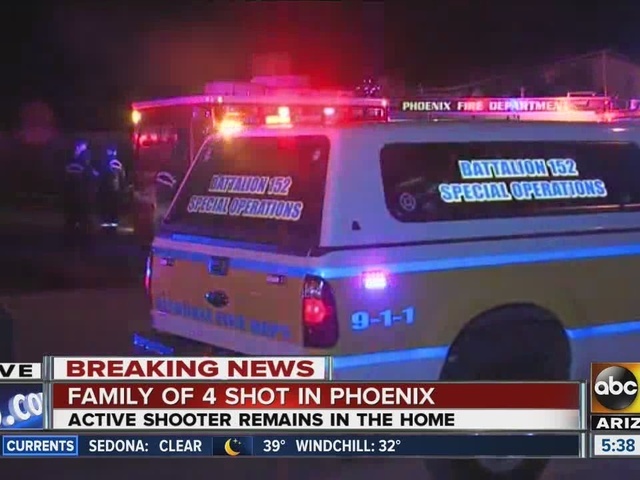 Phoenix police said 26-year-old Alex Buckner shot four of his family members inside the home early Tuesday morning. Alex Buckner's parent's, Vic and Kim Buckner, and his two sisters, 6-year-old Emma and 18-year-old Kaitlin Buckner, were identified by police as the victims. Emma was rushed to a hospital where she was pronounced dead, Phoenix police Sgt. Trent Crump said. Her former preschool teachers came to the crime scene to pay their respects Tuesday evening. "[Emma] was a happy girl. She always had a smile on her face," Paulina Bustamente said. "She would always have something to say back, but it was always positive." "I can't even believe that she's gone," Sylvia Avila said "I wish it was unreal, honestly." 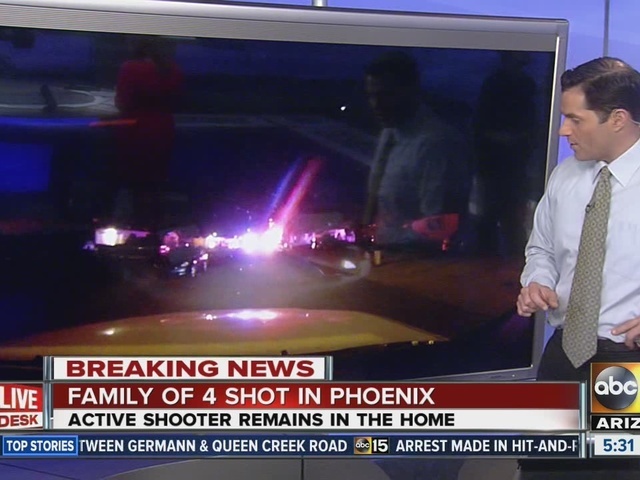 Relatives told Phoenix-based KNXV that Alex Buckner did not have a history of violence, but that he did have mental health problems, and they believe he had been diagnosed with Schizophrenia. "How does a family talk about a grandson who had mental problems, yet not be angry for the grief that he caused?" said Diana Buckner, Alex’s grandmother. According to Crump, family members said Alex Buckner was treated for drug abuse in the past, but the shooting was out of character. Police said the gun used belong to Vic Buckner. Detectives are still investigating what led to the shooting and how the fire started. Just before 5 a.m., police dispatch received a 911 call from someone inside the home indicating they had been shot and needed help. When officers arrived on scene, they heard gunshots from inside the home, which was also on fire. Some of the victims were upstairs trying to get the attention of officers through the window at the same time shots were being fired, said Crump. Officers organized teams and equipment before going inside, he said. Some police officers were holding fire hoses so firefighters and other officers could go into the house to try and gain control of the situation, said Police Chief Joseph Yahner. There was a 45-minute "lull," according to Crump, where the fire was out and there was no gunfire. At this point, police said they did not know whether Alex Buckner was alive, had succumbed to smoke inhalation or shot himself. Police continued to check the home and found Alex Buckner inside a room. 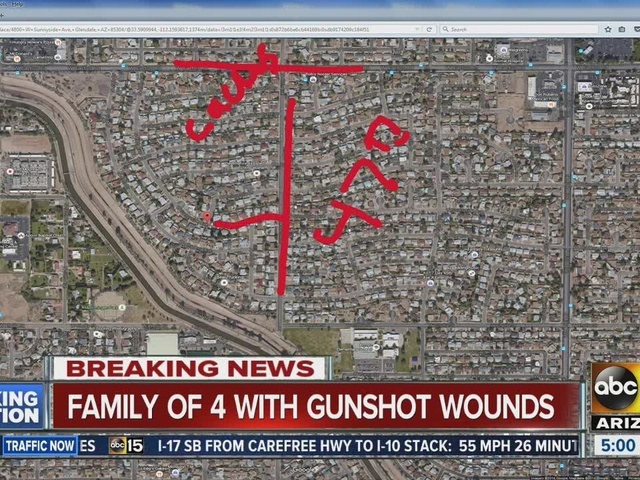 He pointed his gun at the officers and was shot and killed, according to police. Crump said at that moment the fire re-ignited in the ceiling and first responders were told to get out of the house. Air15 showed at least three firefighters on the roof when the flames erupted. A ladder was set up and the firefighters were able to climb down. Police said Alex Buckner's body was pulled out of the home and firefighters began to attack the fire. His parents' bodies were found in an upstairs bedroom, while Emma was found in another bedroom and Kaitlin's body was found in a downstairs closet, officials said. Three police officers were taken to the hospital for smoke inhalation, said Crump. "We have a lot of work, as you can imagine," said Crump in an emailed update. He described the scene as a "mess" and said investigators will be at the scene for the next 12 to 24 hours.